The word on the street is that vodka bars as a standalone concept are not as popular as they once were. After all, vodka is not the favourite spirit of today’s bartender - its historical association with cocktails is just over 100 years old, making it much younger in cocktail years than, say, gin. According to David Wondrich, the first vodka cocktail on record in the US comes from New Hampshire, when in 1905 a bartender mixed up a few vodka tipples for some visiting Russian dignitaries – sadly there is no recipe. But it remains one of the most popular spirits in the world and there are still a few bars around that worship at the altar of vodka. There are also plenty of bars doing great things with vodka, even if they are not devout worshippers. Many of the vodka bars we know and either love or loathe today seem to follow one of two themes – they are either gimmicky ice-bar venues with their own puffa jackets and icy glasses or they pay homage to all things Russian, with red stuff and Soviet decor and cocktail names. The spirit itself is believed to hail from eastern Europe though there is often debate about where exactly it first cropped up. The Gin & Vodka Association says the first record of vodka production was in Russia in the 9th century, but the Poles claim they were in pole position, having supposedly produced the great white spirit in the 8th century. Later observation suggests this might’ve been brandy. Until someone discovers the mechanics of time travel, I guess we’ll never know. Though I hope time travel will be used for something more productive than this little question – using it to locate the Terminator would be a good start. 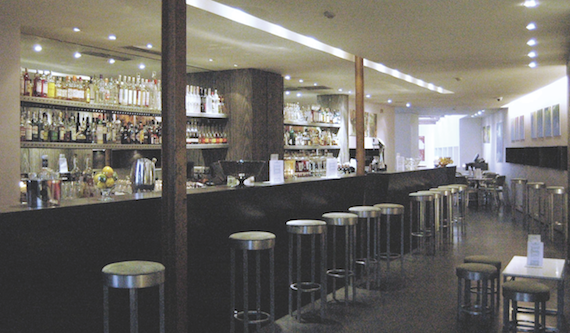 London’s Baltic bar serves more than 60 varieties of vodka – straight from the deep freeze in frozen glasses. The bar makes its own flavoured vodkas using, it says, fresh fruit and spices. The ingredients are left to mature in large glass flagons, which add to the look of the place. Vodkas are served by the glass, in small carafes (10cl) containing 4 shots and large carafes of 25cl and 50cl. There are no fewer than 13 super–premium Martinis to choose from, including Belvedere Intense 50%, Snow Queen and Stoli Elite. They come in at £10. Then there are premium martinis for £9 – including Absolut and Ketel One. The classics come dirty, dry or with a twist. The vodkas on the list are split into categories including ‘traditional’ and ‘new’. Honey, herb and bison grass fall under the traditional umbrella, while cucumber, wormwood and pear are counted among the newbies.